When my niece turned 9 in April I made her this card. I think this motif is really cute. It's from Belles n Whistles. 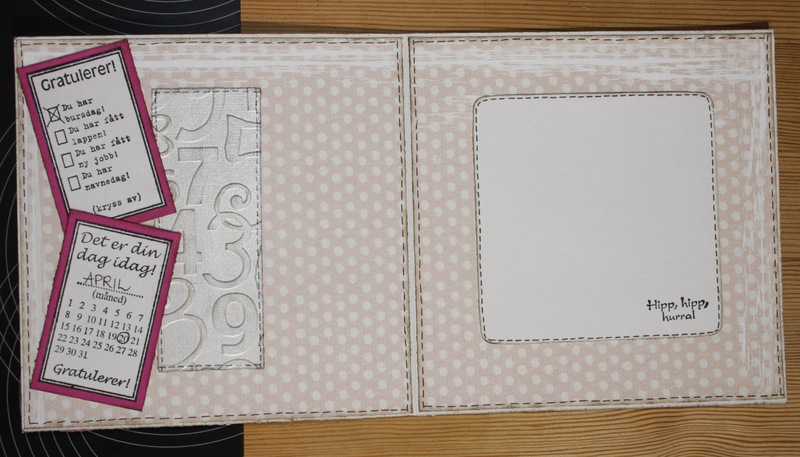 I have used a dry embossing folder from QuicKutz. All the small rectangular stamps with the calendar and the other texts are from Norsk Stempelblad. 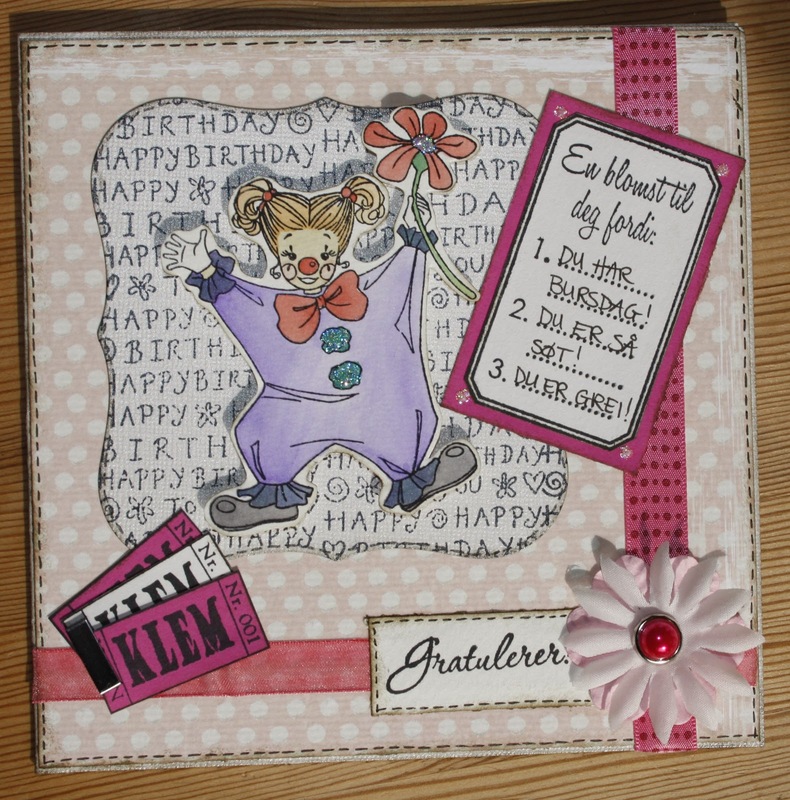 Once again I have used my "Hug" stamp as a decoration on both the edges.